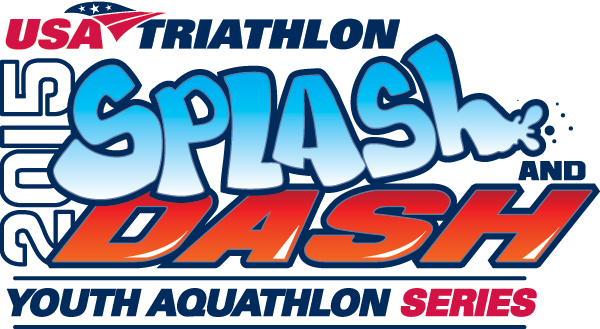 The Black Hills Triathlon team is proud announce the inclusion of the Splash and Dash Youth Aquathlon Series at this years event. A Splash and Dash is a fun and fast-growing sport that combines running and swimming. The run will take place on the Long Lake Park trail and the swim will take place in Long Lake on a modified shallow water course. The focus is on PARTICIPATION rather than competition. The series will expose youth participants to tUSA Triathlon and the exciting world of multisport! Timing will not be required at each event, although it is acceptable. All events within the series will be USA Triathlon sanctioned. Exposes and educates youth to the multisport lifestyle, all while being involved in a fun, exciting, and safe atmosphere! It will really help you to “get your feet wet!”Why Participate? Engages youth athletes in pre-race and post-race activities such as vendor areas, clinics, and additional educational opportunities. Creates an opportunity to meet friends and other youth athletes who are interested and also engage in the multisport lifestyle! Less equipment required compared to that of a triathlon since a Splash and Dash (aquathlon) does not require a bike. Absolutely! If you are in between the ages of 7-15 and have a USA Triathlon one-day or annual youth membership, you are eligible to take part in the fun and exciting multisport series! Be prepared for a great experience, bring a positive attitude, and be ready to learn firsthand about multisport! Prior to the event, be sure to purchase your Youth Annual Membership which includes a wealth of benefits! Click here to become a member and to view member benefits. You may also purchase a One-Day Youth Membership. The One-Day Youth Membership can be purchased through the Race Director, but does not include any benefits of the Youth Annual Membership! What is USA Triathlon Sanctioning? The term “sanction” refers to the compliance of a multisport event to USA Triathlon’s safety requirements. Safety plans, course maps, and event details must be submitted for review by experienced USA Triathlon staff. This ensures events are safe and fair competition environments. USA Triathlon sanctions more than 4,000 events across the country. USA Triathlon not only sanctions triathlons, but also paratriathlons, duathlons, aquathlons, aquabikes, off-road events, winter triathlons, youth races, camps and clinics. Submit your own multisport inspirational story!